Customers doing business with us will receive clear benefits. We are one of the largest global multi-specialist plastic solutions supplier today that reliably partners with automotive OEMs and Tier-1s. We have identified 3 key attributes that clearly differentiate our offering from competitors. We are your global partner with local presence in 22 countries*. 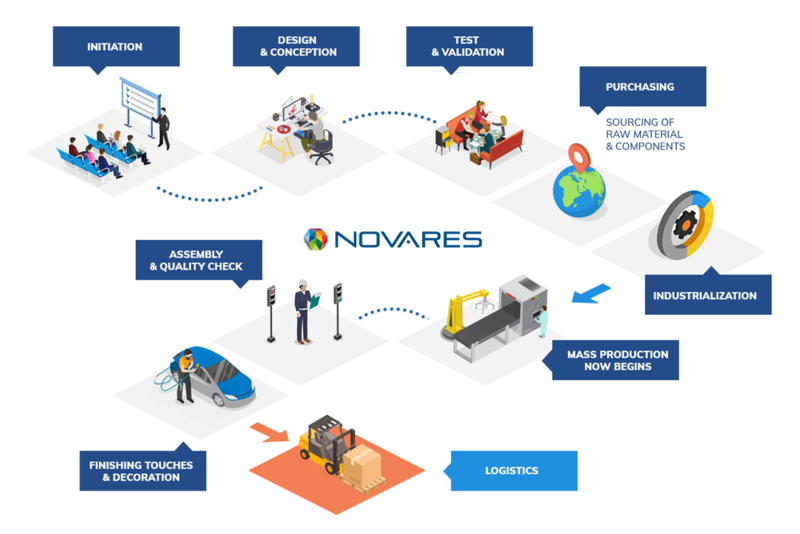 Novares stays close to the customers’ engineering and production sites in order to optimize logistic costs and ensures on-time delivery. We are present in 22 countries* with 47 locations, 8 Skill centers, 7 Technical centers, 20 Customer Service centers, and 15 languages spoken. Our production plants around the world deliver competitive pricing and a fast delivery turnaround time. We are focused on the automotive sector, serving all major automotive players: not only OEMs, but also major Tier-1s and are proud to be seen as preferred partners. You can count on us for smooth planning, operations and product development. We optimize costs, provide reliable solutions backed by a continuous quality delivered. SMART is our unique Governance System, created to address market and customers’ needs, with standardized best practices and rules & tools. Novares produces highly engineered, pragmatic components and systems that improve the lives of passengers and drivers. We customize our products to meet growing market needs for clean, affordable, connected cars. We never stop inventing. Discover our philosophy of innovation and customer focus. We are always reinventing ourselves because we are driven by automotive passion. We are Novares. Our world is about listening to customers’ needs, anticipating key trends producing unique components and systems to match. In fact, we do much more than plastics production. We design, create, produce unique and quality parts, components and systems that match the exact specifications of our customers. We have an efficient production process that combines automation as well as using the ‘human touch’ to produce our creations. Our production formula for success has been duplicated in production sites all over the world to be close to our customer sites and to efficiently serve their growing demands. Listed below are the main stages of what we do from the initiation stage of a production project to its final stages of delivery. The development of new concepts in components and systems are defined by customer needs, key market trends and new automotive regulations. 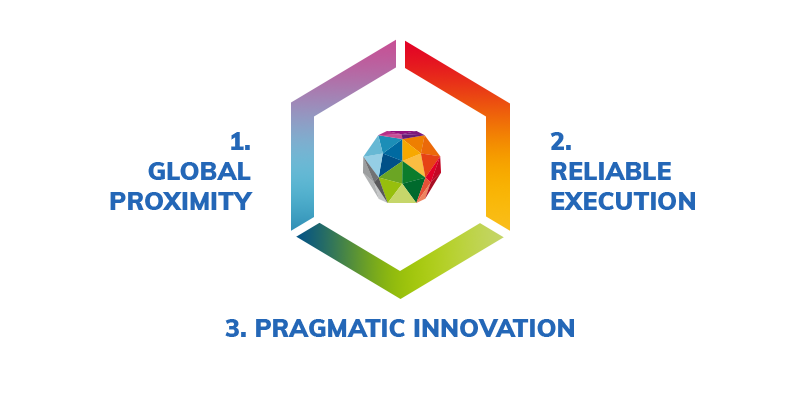 Our major objective is offer the right innovation at the right time based on market needs. Production quantities are defined and agreed on with the customer at the beginning before the design stage. To be able to create a new component or part, we first work closely with our customers to set their expectations and to best understand the technical and regulatory specifications. We then use the latest computer (CAE-Computer Aided Engineering, CAD-Computer Aided Design) programs, virtual modulization, to design the piece carefully integrating specific features and functionalities. Customers provide us with technical requirements to follow to develop specific designs that will meet their needs. We use several applications to create prototypes. We use these models for testing and share the final versions with customers to ensure all their requirements are met. After the prototype model is produced, it is tested in our Skill & Technical centers. The customer approves the designs, reviews the technical specifications and the working performance of the product. We work near-by, in the same country as our customers, to facilitate the testing and validation stages directly with them. Raw materials and components used in our production are locally sourced and purchased from specialized suppliers. We source and purchase, for example, plastic pellets and several components like small mechanisms, membrane, seals, retainers, sensors, actuators, and springs. Our goal is to design the perfect mold for mass production. We develop the tools and the molds necessary to produce the final part or system. We have a specific production line for each part. Once we produce the final tools and parts, we validate this with our customers. We also confirm our capability and rhythm for large production orders. We produce the parts per the customer’s agreed forecast. We can efficiently produce mass quantities of parts using a good rhythm and timeframe that meets customers’ essential demands. All our production plants are qualified, have the capacity to meet automotive industry standards in mass production. line to produce components and systems. Modules and sub-modules are efficiently assembled and quality checked along the way. We have several painting lines that are at the forefront of technology. We have significant expertise in painting automotive interiors and exteriors and use over 125 different colors. For exteriors, we use special anti-scratch spray, varnish and the PVD (Physical Vapour Deposition) process that preserves the paint finish. Once the parts are packaged, delivery is made to the customer site. We have good record of on-time delivery. We have combined in our worldwide site, a production of over 200 million parts per year (2016).